contacts and all about the vibrant racing scene. What makes a particular class of boat a good one to sail, one you want to keep coming back to, one you want to take to events, perhaps around the country? Different aspects of ownership and participation appeal to different owners. For some it may be the building of a yacht that gives them most pleasure. Others might enjoy the fleet banter and social interaction. Some will enjoy sailing their boat and making it work well and of course there is the racing itself and the challenges and triumphs that provides, be it in winning or simply achieving a ‘personal best’. Six Metres can provide all this in abundance and more besides. ​Firstly, they just look the part, shaped as they are by the six-metre rule; let’s not forget that they are the only MYA class in the UK that is based on a real full size equivalent rather than some modeller’s confection. They look good on the water, having size and presence. 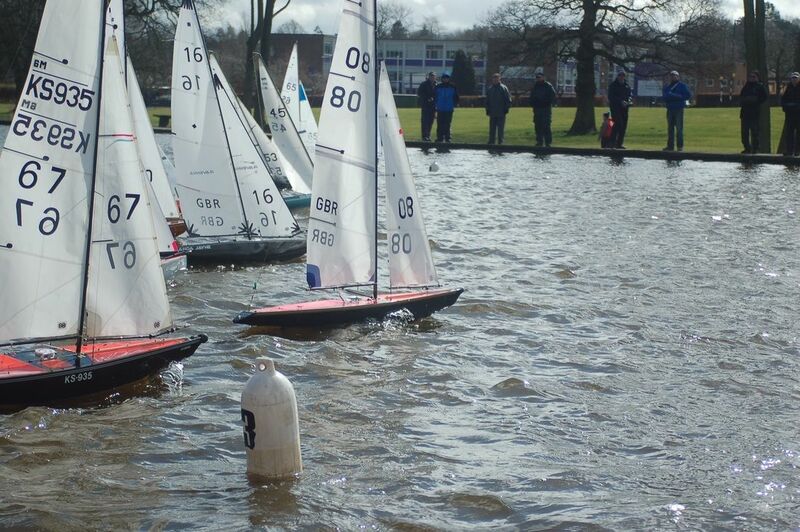 You can even see them at the windward mark! Stem and stern overhangs, gracefully sliding through the water presents a picture of a classic yacht, not some extreme, rules driven contortion. But don’t be fooled, they can perform too! ​A six metre is a pleasure to sail, provided it is correctly set up of course. They behave more like a full-size displacement sailing yacht compared to the pseudo-dinghy type experience you get with smaller classes of model yacht and so provide something refreshingly different, arguably something better. ​They have momentum, so they can coast through a bad patch, tending to be less stop start in manner. They seem to be less fickle and fiddly to work on and adjust too. There is less minute adjustment required to achieve that race winning trim compared with many other classes thanks no doubt to the relative size of the boat and its sheeting lengths. They are still very manoeuvrable and responsive to trimming and puffs of wind and can still be surprisingly quick thanks to the extended waterline length when the stern counter comes into play. Good designs with good sails should be well balanced as they move up the wind range. These boats can be set up in text book fashion and will work well. Recognised methods used on full size craft can be utilised to power up and de-power the rig to meet changing wind strength. Some designs can hold their top suit in 20+ mph winds. ​This is relevant since the class rules only allows for one mast, but the adjustability and relative stiffness of the Six Metre means that you do not have to make sail changes quite as often as in other classes. in high end top suit conditions. For completeness a third suit (it really would be howling by the time you used this) would complement the picture, as would a lightweight top suit ( made with lighter weight mylar film) for really light wind conditions, but again these are non-essential options. It can be seen therefore that the rig inventory need not break the bank and compares well with other classes. ​They are also a manageable boat. Designs weigh in at around 12Kg down to less than 9Kg and tend to be 1500mm or less overall length. So, what design to sail? They say every dog has its day. Some designs err towards favouring lighter wind conditions, some towards heavier, and some look to occupy the middle ground as all-rounders. The Metre rule means there are always compromises to be faced on the design front and it should also be remembered that hull design and sail area are only a part of the performance envelope. The skipper’s skills play a huge part in the outcome. ​Consideration should be taken of what the prevailing sailing conditions are likely to be on home waters or, if looking to do open meetings what might be the best boat to adapt to different conditions or one that you would feel most comfortable with. Other skippers with experience can and will offer advice about the characteristics of different boats, subject to the normal caveats around bias. How do you get a boat? Six metres can come from a variety of sources ranging from grand-dad’s attic to bespoke professionally built boats. Do you want to build a boat yourself? There is a certain satisfaction from sailing one’s own creation and Six Metres lend themselves to self-building, with a number of plans available. See the design and build section on the site for more information along with the ‘boatography’ section for more ideas. 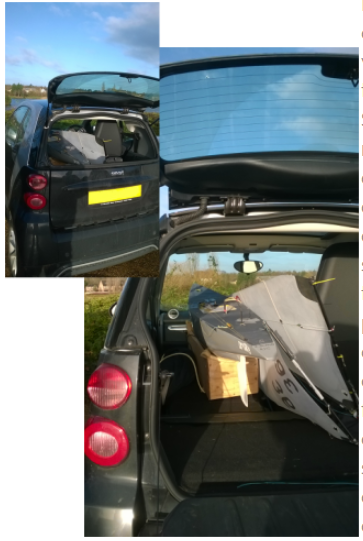 Six metres can be successfully constructed using all the usual methods, wood planked, glass fibre and carbon fibre. The medium used is less critical to performance than some other classes, provided due care is taken in construction to keep weight under control. It’s also possible to commission a brand new Six from several builders to your chosen design but expect to pay rather more to get your boat on the water. It should also be noted that even though the R6M is long established it still offers room for innovation and fresh thinking from a budding designer/owner. For instance, there is no limit to the number of radio channels that one may use to various purposes and the rules also allow the use of a genoa. But self-building or a new boat isn’t for everyone, especially for those who prefer to be sailing rather than constructing. The second-hand market can provide answers and you can get yourself a lot of boat for your money compared to other classes. A well built and maintained second-hand Six will tend to hold its value very well too. Nor does second hand necessarily mean second best because most designs are still very competitive. The nature of the Six metre rule means that there is no one solution and there is no clearly superior design out there at present. Nor do you have to have the latest, newest boat to have a winner. For instance, the winning boat at the 2017 UK Nationals was the oldest boat present, bought second-hand by its skipper. Six Metre Sailing has a ‘for sale’ section as does the MYA site. Club websites can also be a source of second hand boats. Skippers have also found attractive boats, sometimes in need of a little work and measuring, on well-known auction sites. Going racing and where to sail? 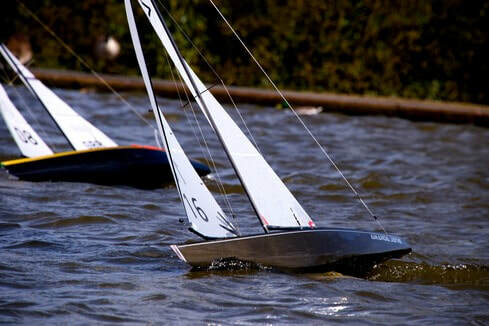 ​One of the virtues of a Six Metre is that you don’t need much depth of water to sail in - they have relatively small draft when compared to virtually all other racing classes so you may have a convenient local water that can try your boat at. A club can provide extra facilities and comforts and the means of recovering a boat that becomes disabled. Sailing on your own is all well and good, providing opportunities to get to grips with settings and trimming, but eventually it can start to feel a little aimless. Meeting with other skippers, usually at a club, and some racing around the buoys can inject a new sense of purpose and re-invigorate one’s enthusiasm. It also provides benchmarks, allowing you to compare boat-speed with others and improve setup and trimming. Travelling away from your home club to race at other venues provides fresh new experiences and challenges, with different wind conditions while sailing against different designs and skippers, who can offer alternative advice, experiences, insight and solutions. The social aspects of sailing away should not be forgotten either! 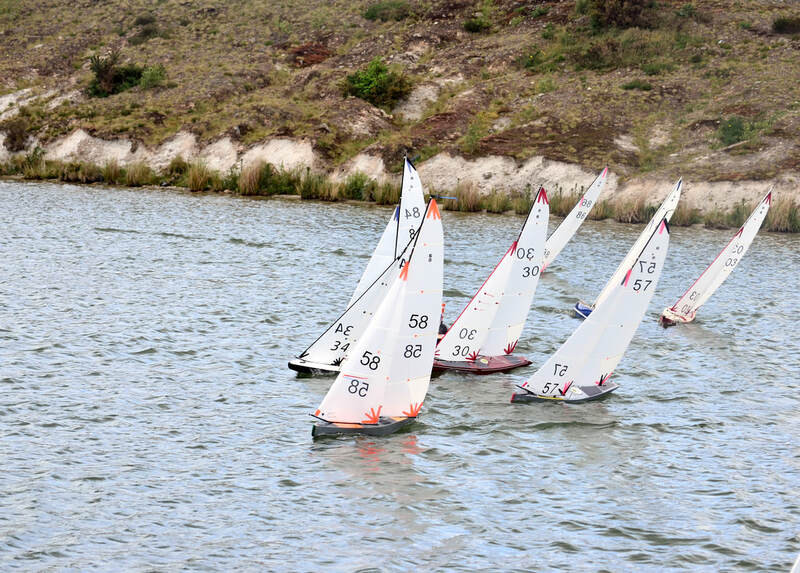 R6M competition and competitors tend to favour a self-regulatory approach that is both competitive but also fair to all, where rule infringement is readily acknowledged and sorted out on the water in a Corinthian spirit without rancour. As with all forms of sport, and especially with sailing, a good knowledge of the rules allows a sailor to be confident when manoeuvring for position, when seeking tactical advantage and of course when converging with another yacht. A proper study of the racing rules and how they are applied will always repay the skipper with increased confidence and usually, improved results. So, you’ve got the boat, the rig and the extras. Can you get it into your car? Yes you can. In fact, a Smart car might be all you need. We have the photographic evidence.